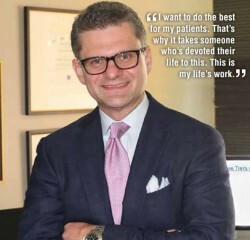 Home HEALTH DOCTOR PROFILES Dr. Ahmet Bedestani, M.D. Though Dr. Bedestani was interested in medicine, he first pursued molecular biology. But while he was working in pharmaceutical research, something happened to change his focus. “I was driving home one day, and was involved in a traffic accident,” says Dr. Bedestani, whose left foot was badly injured in the crash. “I was taken to the hospital, where lots of work was done — to put it lightly.” Graft after graft of bone and skin failed, and specialists recommended amputating his foot. Before agreeing to the amputation, Dr. Bedestani sought one last opinion from Dr. Sum Tran, a physician whom he saw as a hero. “He had actually gone into the community after the 1994 Northridge earthquake [in Los Angeles] and helped people, gratis,” Dr. Bedestani says. “He took one look [at my foot] and said he could fix it.” Dr. Bedestani was so inspired by Dr. Tran’s confidence and skill that he decided to finally pursue his interest in medicine. 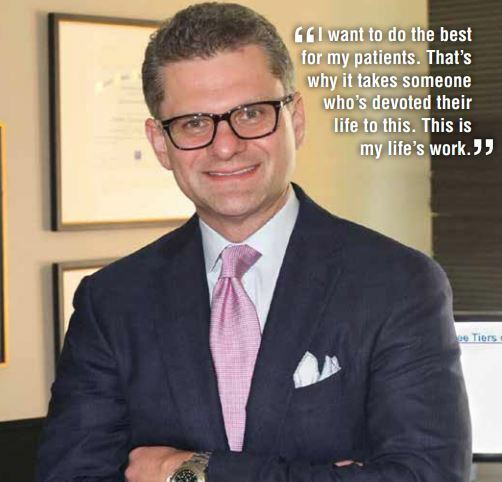 After graduating from Ross University School of Medicine, Dr. Bedestani began his residency in obstetrics and gynecology at Mount Sinai Hospital in New York City. This was where he decided to focus his career on female pelvic medicine and reconstructive surgery. “Here, you have the time to really plan your surgeries and combine science, experience and skill with a bit of artistry, to really have a profound impact on someone’s life,” he says. 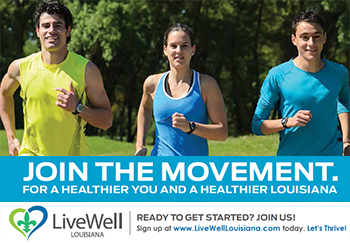 Less than two days after completing his medical residency in 2007, Dr. Bedestani was on his way to New Orleans for a three-year fellowship in female pelvic medicine at Louisiana State University Health Sciences Center. Dr. Bedestani notes that his patients are often concerned with when they will be able to resume their normal lives after surgery. “Women of today have so many balls in the air to juggle,” he says. “If they’re going to take time out of their lives to commit to a treatment plan, they want a high level of certainty that they’ll never deal with that problem again.” He aims to provide that certainty to every patient. My job is to navigate all of the information, technology and data out there in the realm of pelvic medicine and reconstructive surgery. I deliver that to the patient in a way that they can understand, that meets their needs, so they can make appropriate, informed decisions in their treatment plans. next Dr. Royce Dean Yount, M.D.